Agnieszka Jamrozek, DMD, provides veneers in West Milford, NJ. Call 973-728-3779 to learn more and schedule your appointment. Dental veneers are thin shells that encase and are tightly bonded to the front, sides, and biting edges of the affected teeth. You can have veneers placed on one or more teeth, as long as all affected teeth are healthy. Each tooth must be carefully prepared by shaving down a tiny layer of enamel from the natural tooth. A special curing light is used to harden the bonding material and secure the veneer in place. With proper care, dental veneers can last for many years. 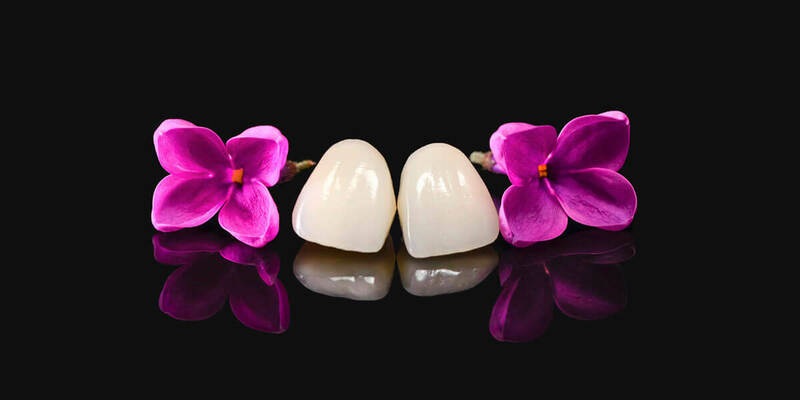 Porcelain Veneers: Porcelain veneers are considered the most aesthetic and the most durable of all the types of veneers. They are custom fabricated in a lab, using multiple layers of dental porcelain to mimic the appearance of the natural teeth. The size, shape, color, and fit are all crafted to exactly meet your needs and desires. They are long lasting and stain resistant. However, porcelain veneers are also the most expensive option. Composite Veneers: Crafted either in a dental lab or inside your dentist’s office, composite resin veneers are a reasonable midrange solution. Like porcelain veneers, composite veneers are fully customizable, ensuring a strong color match and snug yet comfortable fit. However, composite veneers are somewhat less durable than porcelain veneers, and are more likely to stain. Prefabricated Veneers: Although we don’t specialize in prefabricated resin veneers, they are the most affordable choice, and can generally be placed in one visit. They are available in many different sizes, shapes, and colors, but are not customized for the patient. Prefabricated veneers can be a good choice for those who can find a suitable option that works for their individual needs, but do not provide the same durability, appearance, or quality as customized veneers. There is no single right solution to cosmetic dental issues. For many people with healthy but cosmetically challenged teeth, though, dental veneers can provide dramatic, durable, and highly aesthetic results. Your dentist will carefully evaluate your smile and help you choose the best solution for you. If you and your dentist decide that dental veneers are your best option, your dentist will help you sort through all of your choices and select just the right veneers. Your skin tone, hair color, eye color, and facial features are all part of the equation, as well as the color, size, shape, and length of your teeth that will not receive veneers. Remember that the best-looking smile is always the one that looks natural on you. Call 973-728-3779 to schedule your appointment.